In September, The A.V. Club reported that a New Jersey attorney was in the process of trying to sue several thousand BitTorrent users at once for downloading and sharing metal albums. 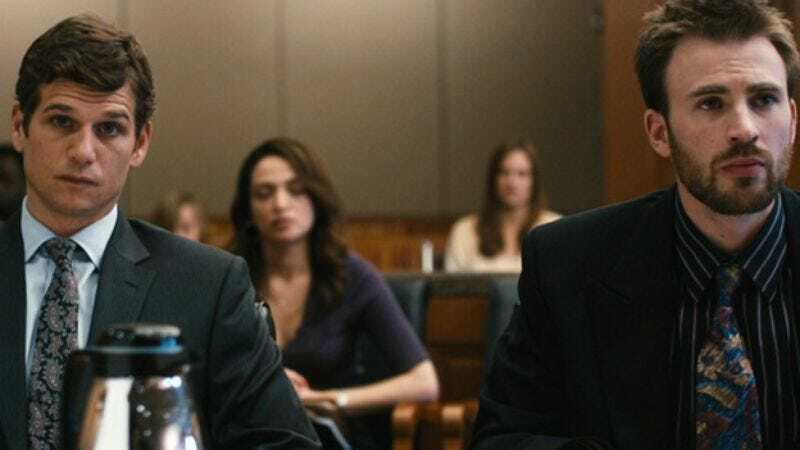 Yesterday, in a similar case involving the illegal sharing of the 2011 film Puncture, U.S. District Judge James Gwin ruled that he wouldn’t allow Safety Point Productions, Picture Perfect Corporation, and Voltage Pictures to sue 197 people as a single defendant, even if it would make things waaaay easier. The news is significant both because it proves that at least 197 people have seen the 2011 film Puncture, and because Gwin has become another federal judge to invalidate this style of litigation. The “mass-joinder” strategy, if deemed a fair use of the federal court’s power, would allow plaintiffs to request that the court subpoena entire “swarms” of anonymous torrent users (i.e. communities sharing the same files) by targeting their ISP addresses to identify copyright infringers. The plaintiff would then be able to send the offending parties letters threatening legal action. It would save plaintiffs thousands of dollars in filing fees and would also make processing these kinds of cases really expedient. Unfortunately, as Gwin explained in his statement, it’s not fair at all, because there’s no way to prove when or if the members of a “swarm” are actively sharing.